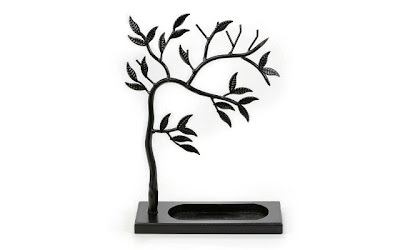 This Sculpted Jewelry Tree - Metal Necklace & Ring Holder is currently selling for just $19.99 on Amazon.com! You will be saving 33% off the listed price of $29.99 with this jewelry deal. What I like about this jewelry stand is its artistic design. It can be used to hang necklaces and bracelets, but also has a well to hold rings.